The firsts in your child’s life are always memorable – the first word, first step, even first tooth! (especially memorable for breastfeeding moms!) It’s only natural to want to have a memorable first birthday celebration. For first-time moms, though, this may feel like a big challenge. 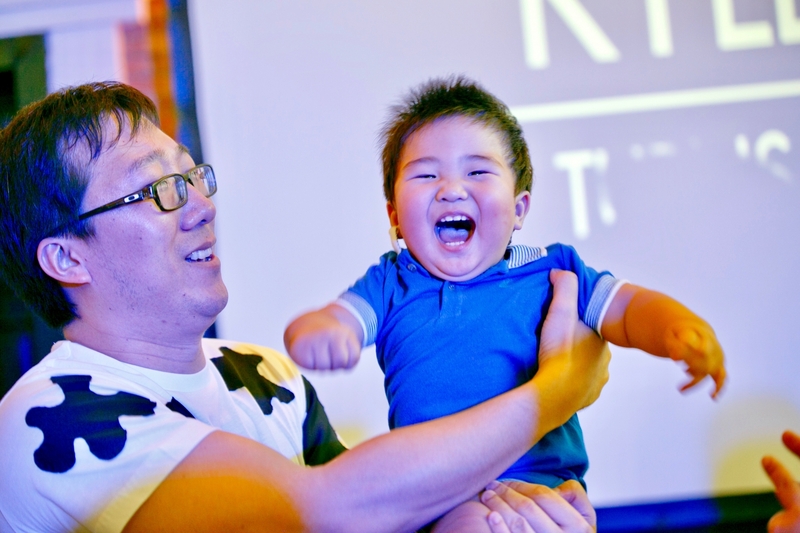 Your child will not have any preferences, so all the decision-making is up to the parents – from the theme, program, styling, all the way to the food and the guest list. 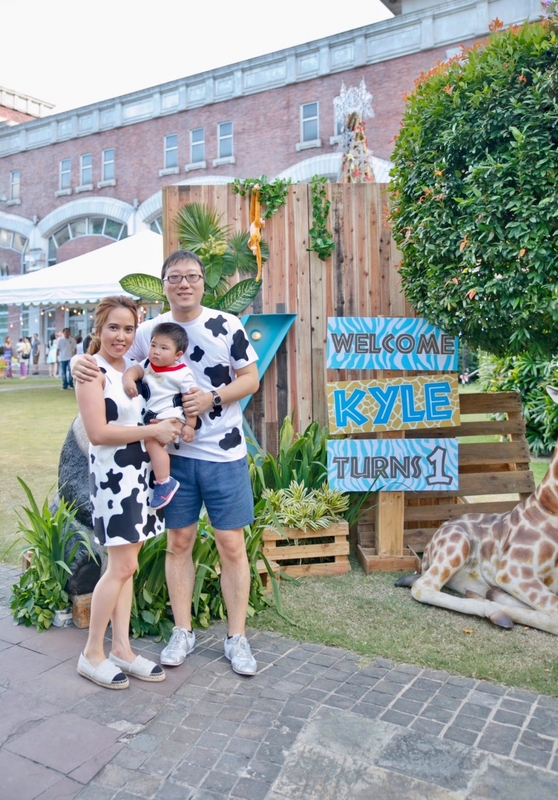 I’ll share my experience in organizing Kyle’s first birthday party, and hopefully you’ll get some ideas and have a better grasp of what to do for your child’s special day. One thing that was really, really helpful for me is getting the right suppliers. The people I worked with made the experience stress-free and enjoyable. So if there’s one bit of advice I can give, it’s this – get the right suppliers for you. 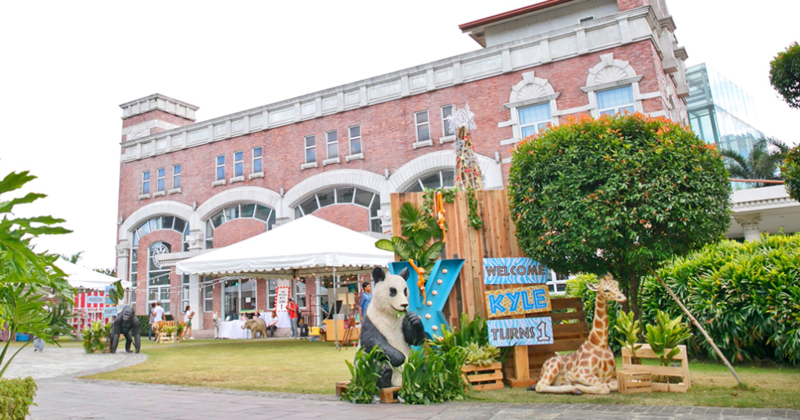 I was really blessed to have an amazing team working with me for Kyle’s first birthday. I want to give special mention to Dorelene of CAD Concepts Event Developers & Managers. She was referred by a friend, and we had a great experience working with her for Kyle’s baptism that I didn’t have any second thoughts about having her coordinate Kyle’s birthday party. She understands what I want, and that saves me a lot of time in looking for and selecting my other suppliers. In terms of theme, we didn’t spend a lot of time thinking what to do. 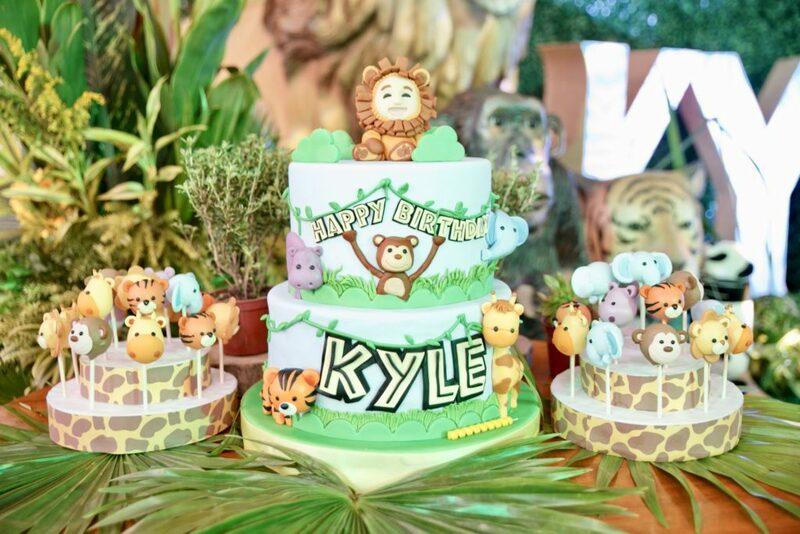 Since Kyle is still a baby and doesn’t have specific likes, I simply chose an animal theme. We didn’t even go specific like “safari animals” or anything like that. 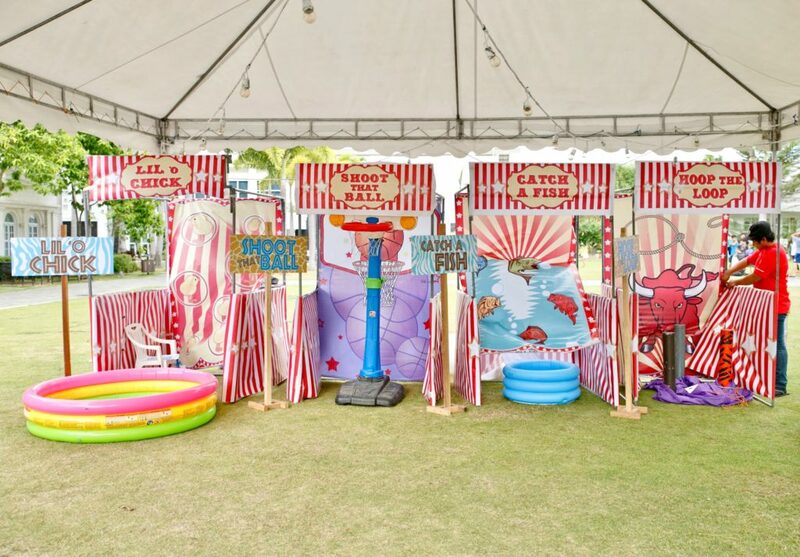 I just wanted a party that was very child-friendly and has a strong baby feel – bright colors, warm ambiance, and an overall happy feel. For styling, we used Twinhouse Creatives, who nailed the theme and delivered what I wanted. On the way to the event, Dorelene started sending me photos of the venue and I was like, “Wow!” I was really impressed with what they did to the space and so happy with choosing them for styling. 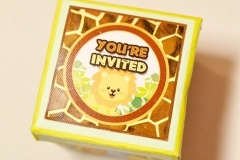 The invitations were given as a gift to me by my cousin, who owns Swirly Party Shoppe. 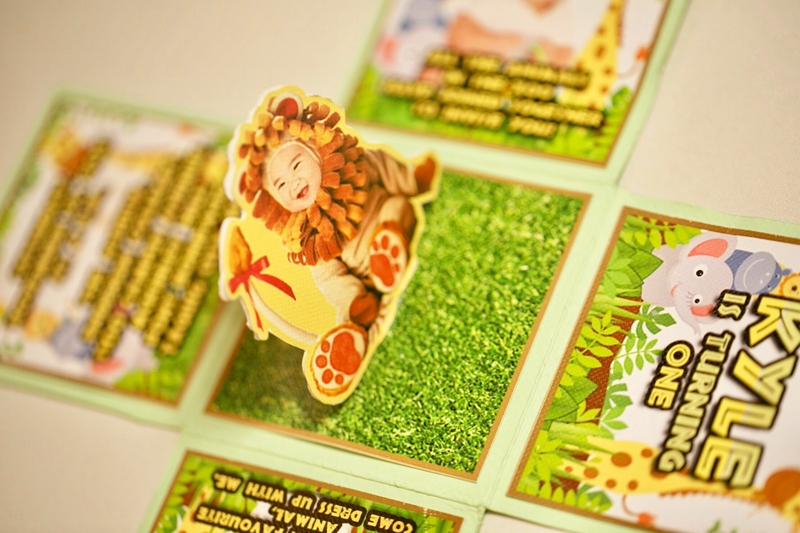 I loved the pop-up detail on the cards! They also prepared the loot box for the kids to take home. Another giveaway we had were refrigerator magnets created from photos in a event photo booth, by Contact Live Photography. 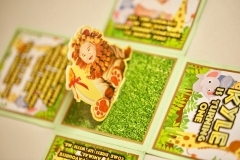 I didn’t want standard prints that people can lose, but photos that people can use and display in their homes – and the refrigerator magnets were the perfect answer to this! 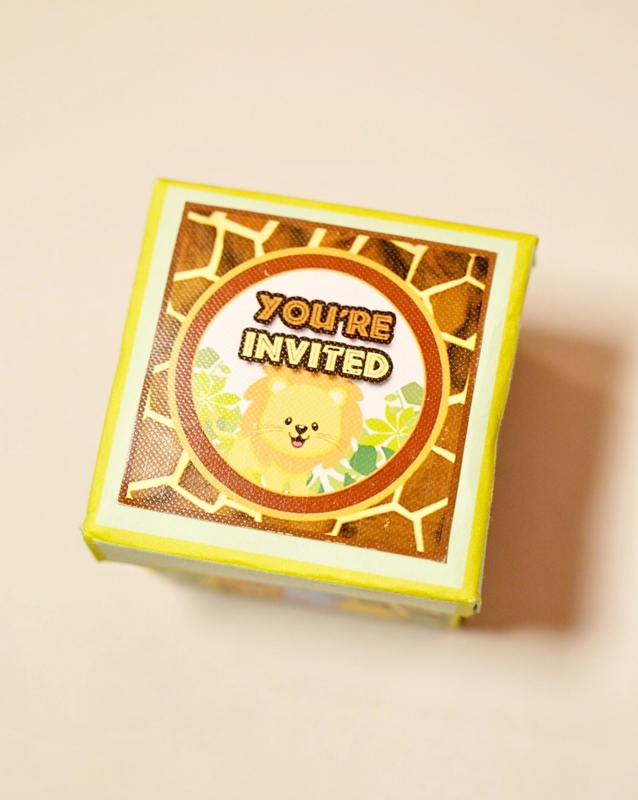 One of the things I wanted to do was provide guests with activities to entertain them. I didn’t want them to feel bored while waiting for the other guests to arrive and the program to start. So we had a tent with game booths for people all ages, courtesy of Kiddie Party. 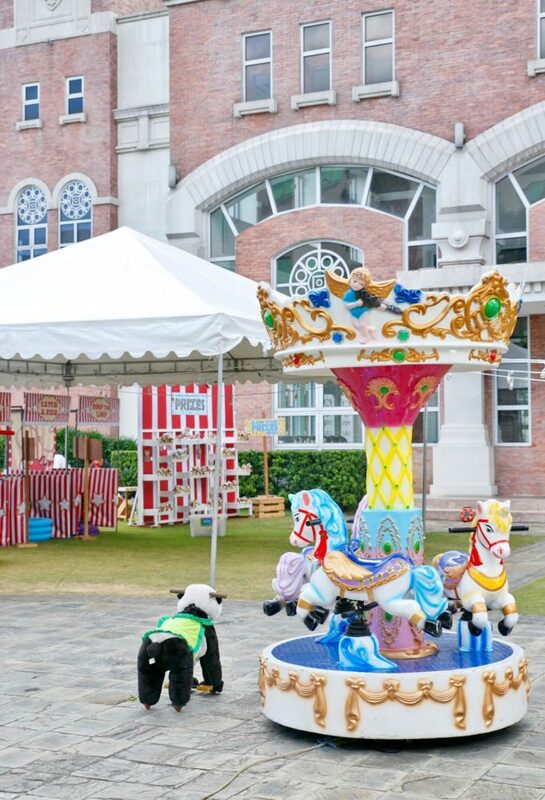 We also had a carousel and animal rides for small kids, provided by Rodeo Star. It was a happy event, and I really wanted the guests to enjoy themselves. 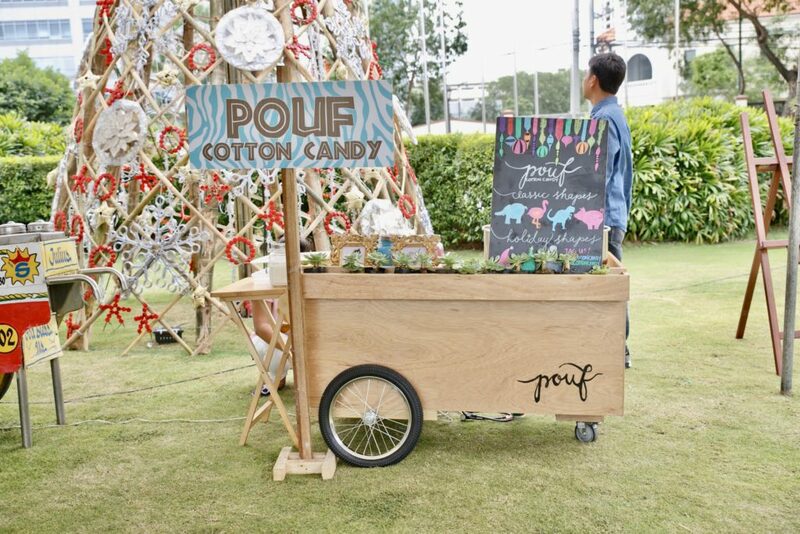 One interesting touch is the Pouf Cotton Candy – instead of your ordinary cotton candy, this supplier can shape the cotton into animals! It was perfect for the animal theme that we had. The guests really enjoyed it and it’s one of the highlights of the event. 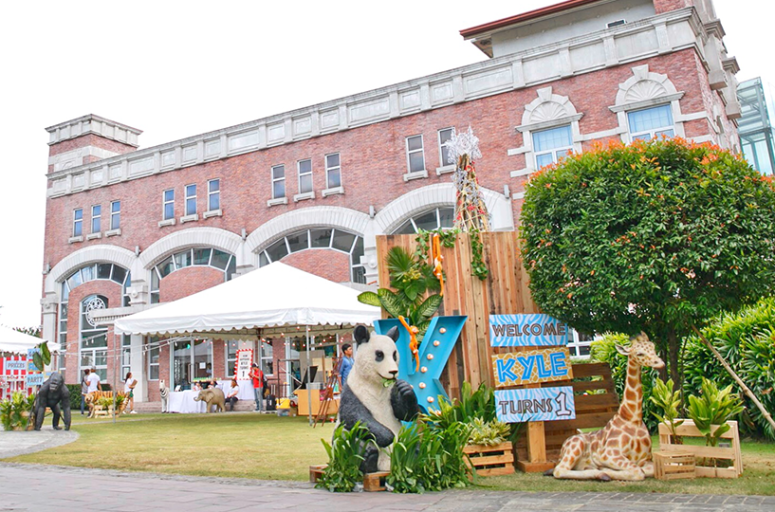 The event was held in Enderun, who also provided the catering. (Paul’s choice, and I trusted him on this one!) Other food suppliers were SunFlower Ice Cream, and The Bunny Baker for the cake and cake pops – you can find these at the 3F of Rustan’s Makati. The cake pops looked really cute, and surprisingly taste good, too! For the program, we had Bobi Magicman, a magician. He was not only entertaining, but he also got the kids involved and engaged. We also hired Tigger from Mascot Manila to entertain the children. Initially I wanted to hire more mascots, but the ones I chose were already booked. So we only had Tigger, but his performance really made up for the lack of variety. Early in the party he already got Kyle laughing and playing with him, which set the mood for the rest of the afternoon. We also had Roppets Edutainment provide balloons – they did balloon twisting to create animal shapes, which was entertaining to watch in itself! The event was hosted by Nadine Smith. We were impressed with her work at Kyle’s baptism, and decided to hire her again for this party. I also need to mention our suppliers for his-and-hers customized outfits that Paul and I wore on the day, Mary Ann Sy. Our clothes matched the costume I picked out for Kyle from Pottery Barn. My hair and make-up was done by Muriel Vega Perez. Thank you for making us camera-ready! Lastly, a big shout out for event coverage by Reality Box Photo and Video – they did a stellar job, as you can see from the photos! 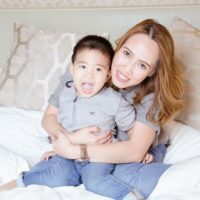 I hope this helped you picture your little one’s first birthday celebration and got you excited about it! If you have any questions, do drop me a line and I’ll do my best to point you in the right direction. Birthdays are reasons to celebrate, not get stressed out! 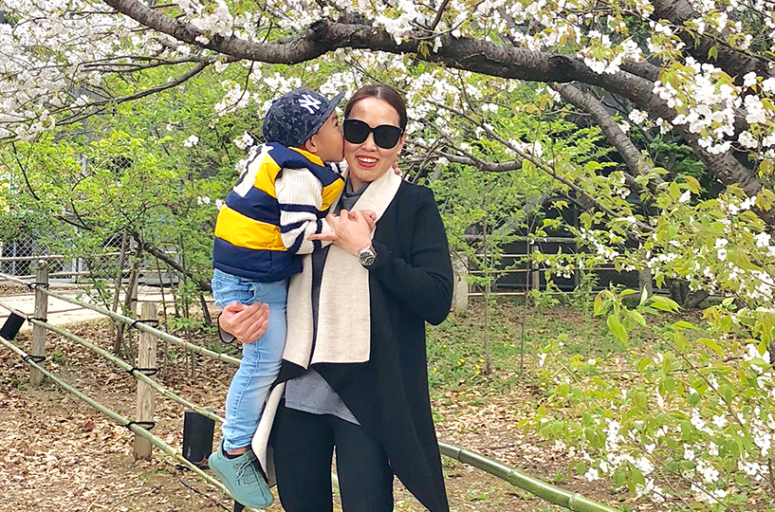 Let’s enjoy being moms – first-time ones or otherwise!